Colloid A.K.A. Jan Willem Hagenbeek is an experimental electronic music artist. Live on stage he creates filmlike sounds using a modular syntesizer and other hardware instruments – most of them homemade. Colloid needed a website to promote his live shows. 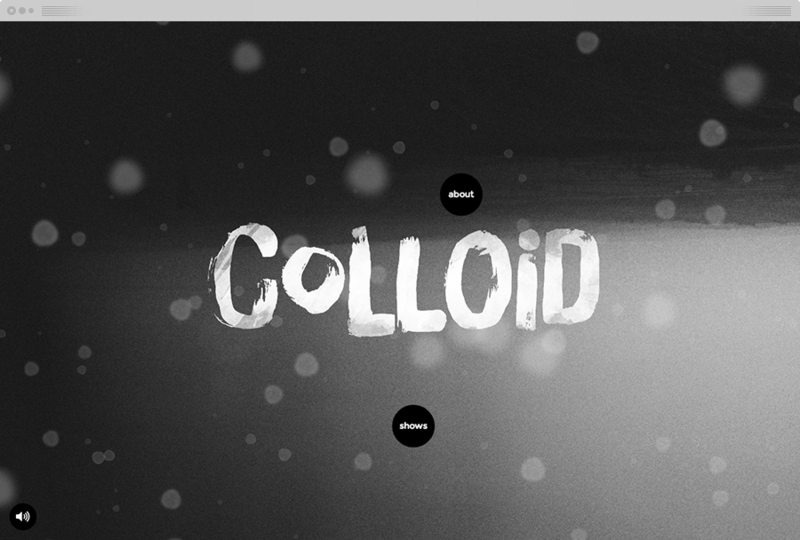 I created a interactive experience that reflects the dark, noisy, layered and desolate sounds that Colloid creates.